What indie writer trying to juggle the demands (and costs) of cover design, ebook design, print book design, and possibly a full time job as well, hasn’t been tempted to toss the lot to one of those publishers who promise to do the whole thing for you at a reasonable cost—and also get your books into book stores? In other words, do the research. God knows, it’s easy enough these days. The other day I was approached by a client who’d gone with one of these publishers. Turned out the contract she’d signed did not include the fee for copy-editing, which this publisher rightly claimed – after she’d paid her money — would cost an extra $1,300.00. This set me to wondering if there might not be out there somewhere a concise list of publishers indie writers need to watch out for. Lo and behold! there was. Reprinted below with Victoria Strauss’s kind permission is the latest list of Thumbs Down publishers. Keep it handy, fellas. Study it, and pass it on to your friends. Fee-charging–whether for the actual printing/production of the book, or for some other item related to the publishing process, such as editing or publicity. Some publishers require authors to buy bulk quantities of their own books. Fees range from a few hundred dollars to more than $25,000. A nominal “advance” in the face of other fee-charging practices does nothing to legitimize such publishers. Note that we do not include admitted vanity publishers (even very expensive ones such as Dorrance) about which we’ve gotten no other complaints, or self-publishing services (even much-criticized ones such as the Author Solutions “imprints”). This list includes only fee-chargers that present themselves as publishers, and actively conceal their fees, try to pass them off as something else, or claim that fee-based publishing is not the major part of their business. Author-unfriendly contracts–including rights grabs, taking copyright, restrictive option clauses, sub-standard royalty provisions (including reverse-accounted royalties), inadequate reversion clauses, draconian “defamation clauses,” and a host of other inappropriate and abusive contract terms. Deliberately misleading advertising–including directly soliciting authors, misrepresenting services to authors in an effort to masquerade as commercial publishers, hiding the fact that they are vanity operations, and making false claims about distribution and bookstore presence. Conflicts of interest–some of these publishers are the vanity “arm” of (or otherwise under common control with) a fee-charging literary agency, which directs clients to the publisher under the guise of having made a “sale”–often without revealing the financial and personnel links between the two businesses. Lack of editorial gatekeeping–as befits vanity operations, many of these publishers have few, if any, standards for the books they acquire. Some don’t even bother to read the books they accept for publication. Poor or inadequate editing. Some of these publishers don’t even pretend to provide editing. Others do little more than run the text through a spell and grammar checking program, or employ unqualified, inexperienced staff. Repeated breach of contractual obligations–such as nonpayment of royalties, refusal to provide royalty statements, incorrect accounting, publication delays, ARCs not sent for review as promised, failure to ship books or fulfill orders, failure to make author changes in proofs, and failure to respond properly to author queries and communications. Some of these publishers have been the focus of successful litigation and other legal actions by authors. While the publishers listed here account for a substantial number of the complaints we’ve received, they’re just the tip of the iceberg. 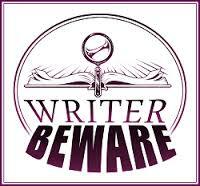 Writer Beware has files on hundreds of questionable publishers, both active and inactive. We do update the list from time to time, as questionable publishers sometimes change their names, clone themselves, or go out of business. Be sure to check back regularly. * Why do we continue to list publishers that aren’t currently active? Because bad publishers often return under new names. This entry was posted in advice about writing, advice for writers, Australian manuscript appraisers, Danielle De Valera, editing, editors, getting published, indie publishing, manuscript appraisers, manuscript assessments, manuscript assessors, Patrick de Valera, publishers and tagged advice for authors, advice for indie publers, Danielle de Valera, editing, editors, fiction editors, indie publishers, manuscript appraisers, manuscript assessors, self-publishing, Thumbs Down Publishers List, Victoria Strauss, Writer Beware, writing advice. Bookmark the permalink. I have an issue with America Star Books. 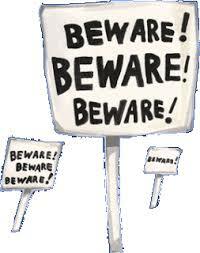 Per their email, they threatened to send my book to some other company unless I paid them $79.00 (administration fee?) to release me from their contract (which I paid). They also said; “You own the unformatted text only, and you can do as you choose with that alone. America Star Books continues to own the ISBN number, the cover design, and the layout design of the text. America Star Books wants me to pay for the cover design would cost $500, and/or the text layout would cost $250. (BOTTOM LINE: They’re holding my book for ransom and charging me to pay for the return of my own original works). Are these folks on crack!?! You can most certainty add the unpronounceable Eleusinian Press to the list. Failed to meet any of their eye popping claims and haha,but not so funny, broke their own contract repeatedly. Yes,they published my book, full of spelling mistakes and procured two decent reviews. But my name was initially misspelt both on the cover,spine and when I threw a fit and managed to have those pathetic errors changed,they still screwed it up on the inside page as well ad on their website. Then they couldn’t afford to send me my 10 x author’s copies to South Africa,I had a friend post them to me from the UK instead. Nasty,inefficient and hysterically arrogant ” publisher”.stay well clear of this grubby tyke.